Click on different areas of the image to view a larger detail image of that section. Clicking on the green arrows will rotate the main image to a different side of the cross. 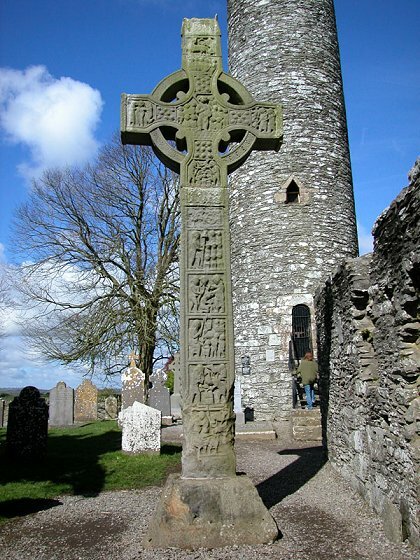 The West High Cross stands almost 7 meters high.